Every year, Paris fashion shows off in the sun. 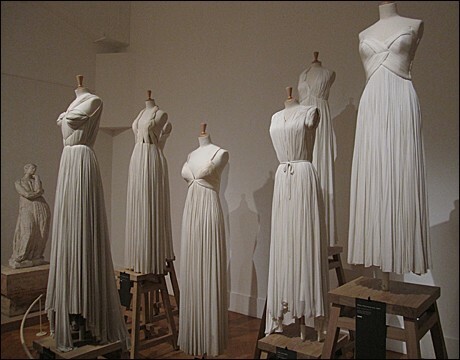 But this spring, style seekers are flocking to ogle gowns by Madame Grès (pronounced “gray”) at the bucolic Musée Bourdelle. 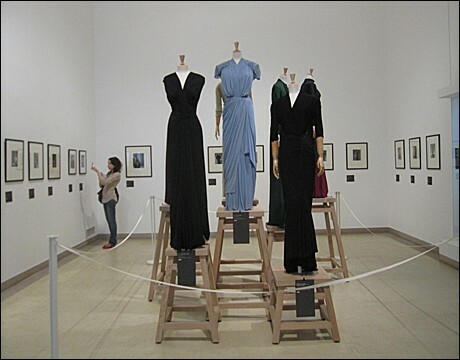 After Elsa Schiaparelli and Madeleine Vionnet, Madame Grès is the latest couturière to have a blockbuster show. But while work by those greats appeared in formal museum settings, this lavish exhibition was installed in a garden-garnished atelier from the 19th century. It’s the former studio of sculptor Antoine Bourdelle, a close friend of Rodin, which offers a perfect setting for the stunning show. Installed among Bourdelle’s famous—and often massive—statues of friends such as Isadora Duncan and Nijinsky, these creations really shine. Visitors can view both artists’ work from every angle and are free to roam or linger in the pair of delightful gardens. Plus, room after room, Grès’s part in Paris fashion grows clearer. She, one finds, is the middle step between Christian Dior’s “New Look” and later greats—from Saint Laurent and Hubert de Givenchy to Jean Paul Gaultier. Initially, Alix garnered notice for streamlined jersey pieces, draped and shaped entirely by hand on svelte models. However, it was during the war when she finally founded the Paris fashion house Maison Grès. The name was an homage to her Russian husband, Serge Czerefkow, an artist who also used it professionally. 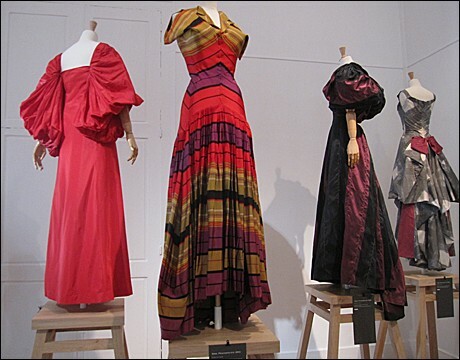 It was as Madame Grès that the world of couture remembers her. The world she created appears here in Paris fashion photos that cover six full decades. They are portraits by masters, from Hoyningen-Huene and Horst P. Horst to Cecil Beaton and Jeanloup Sieff. The visions offer a counterpoint to the disembodied dresses, coats and gowns of the “Grès girl.” We see the latter clutching a Suzy chapeau to her head, slinging on a slim fur stole to stroll in the Tuileries—or letting a breeze lift her snazzy triangular coat as she steps through a courtyard. Clearly, she is the acme of Parisian style. It’s all delicious stuff. But there is plenty for the serious fashion student, too. The studio of Madame Grès was where minimal, sculptural cutting—something we tend to think of as contemporary—really got going. Not to mention her singular palette. Its choice of understated tones like pale teal, burnt ivories, rust, orange, chocolate and olive influenced Miuccia Prada just as clearly as the sleek ball gowns spoke to Yves Saint Laurent. It is in the latter’s name that Saint Laurent’s partner Pierre Bergé purchased and donated the sketches, most of which still retain their fabric swatches. 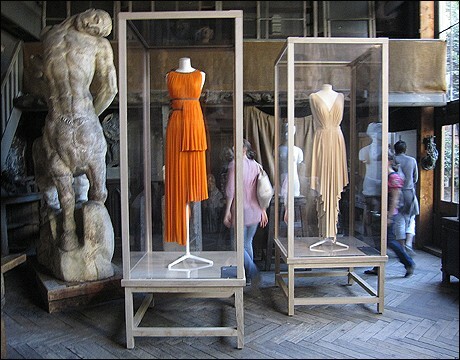 “Madame Grès” is on view through July 24 at the Musée Bourdelle. Editor’s note: For a DIY shopping tour of Paris, try our downloadable walking tours: we recommend Walk and Shop the Marais, or the shorter rue du Cherche Midi or rue St.-Dominique tour.